Pidgin Error : Your MSN buddy list is temporarily unavailable. Please wait and try again. Why I am getting error message "Your MSN buddy list is temporarily unavailable. Please wait and try again." when I try to connect to an MSN account using PIDGIN IM software? "Your MSN buddy list is temporarily unavailable. Please wait and try again." 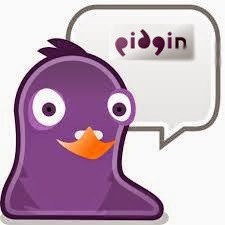 Pidgin is a popular , easy to use and free chat client used by millions of users world wide. Pidgin helps to connect to AIM, MSN, Yahoo, and more chat networks all at once. You may have noticed that, even though such MSN connect issues happens, you may be able to connect to other chat accounts. Since other accounts are working, you can conclude that , this issue is due to an error in MSN server. When such error appears, it is not necessary to uninstall pidgin and remove the purple folder from Your home directory. This error happens when there are any issues on the MSN server. This may be due to any server updates. MSN Hotmail accounts not connecting using Pidgin, getting "Connection error from Notification server: Connection timed out" message . hotmail is not connecting through pidgin Showing following error messages:. Pidgin is a chat program which lets you log in to accounts on multiple chat networks simultaneously. This means that you can be chatting with friends on MSN, talking to a friend on Google Talk, and sitting in a Yahoo chat room all at the same time.